Samuelson & Marks’ Managerial Economics, 8th Edition provides a detailed introduction to managerial economics for undergraduates, MBAs, and executives. This text illustrates the central decision problems managers face and provide the economic analysis they need to guide these decisions. 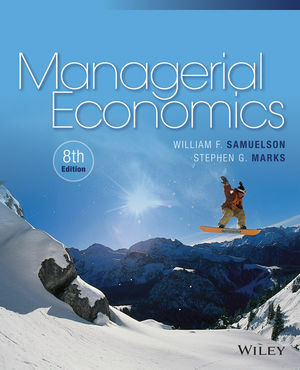 William F. Samuelson and Stephen G. Marks are the authors of Managerial Economics, 8th Edition, published by Wiley.